Nissan doesn't have a supercar like Honda's NSX or Toyota's LFA. What they have instead is something that can beat most supercars, the GT-R. That's nice, but imagine if these two MID4 prototypes would have made it into production. A crazy mid-engined Infiniti would probably emerge from somewhere. Of course back in the mid-eighties, there was no Infiniti to start with. That only came in 1989. But Nissan wanted to develop new technologies, and what's better for a testbed than a futuristic supercar? The job landed on Shinichiro Sakurai's desk, who was a chassis engineer at Prince in the fifties, and by this time was the head of the Skyline team at the company. Starting in spring 1984, the first four prototypes of the MID4 I were finished in less than a year. 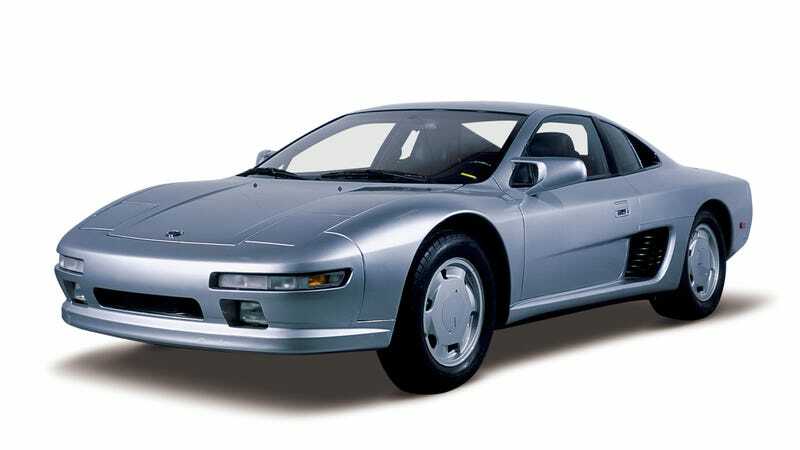 Presented at the 1985 Frankfurt Motor Show, the white show car had the DOHC version of the single cam V6 engine from the 300ZX, tuned to 245 hp. It also had an all-wheel drive system sourced from Europe with a 33/67 rear wheel bias and HICAS, Nissan's four-wheel steering still very much in the development phase. Sportiness was further enhanced by the adjustable, fully independent suspension (with double wishbone up front and a four link strut system in back) and four-wheel disc brakes equipped with ABS. Nissan claimed a top speed of 155 mph. In 1987, they upgraded the concept to what is known as the MID4 II. Presented at the 1988 Tokyo Motor Show, the car now had 330 horsepower thanks to an intercooled twin turbo VG30DETT. With a weight of 3,086 lb and the more streamlined styling, the public was expecting it to become Infiniti's debut halo car for 1990. Unfortunately, once the cost side was figured out, Nissan dropped the project with only 3 MID II prototypes being finished. The four-wheel steering made it into future models.